Click on the bars below to all the subdivisions and condo & townhome complexes in Longmont. You can also view the most popular searches such as ranch style homes, new construction, homes with a pool or houses with mountain views. Click to see Local Subdivision and Complex Maps. What is Your Longmont Home Worth? Longmont is a major city located in Boulder country. With a population of over 86,000, Longmont is the 13th most populated city in Colorado, and is also typical of what the state offers. With access to all the amenities and luxuries of city life, Longmont is truly an urbanite’s dream. However, just a look out of a window in Longmont will provide you with a once-in-a-lifetime view of the soaring Rocky Mountains. Yes, Longmont is a big city, but it is also nestled amongst some of the most beautiful scenery you can imagine. Over the years, Longmont has become one of the most popular real estate locations in the North Metro area. Home choice is varied in terms of design and price, while there are numerous notable subdivisions in the city. Longmont, CO has become a favorite location for families and many subdivisions cater to families seeking security in affordable properties. Notable family-oriented communities include Idaho Creek, Wolf Creek, and Park Ridge. At the other end of the scale, high-end living in luxurious properties is available in the subdivisions of Lighthouse Cove and Pelican Shores Lakes. Despite being an urban sprawl, Longmont has not turned away from its Colorado roots and still embraces horseback riding. Homeowners seeking closeness with equestrians will be pleased with Meadow Vale Farm, which provides special zoning for horses. Longmont is constantly evolving with new subdivisions, including the new builds at Somerset Meadows, Provenance, and Harvest Junction. As a city in the truest sense, Longmont also has plenty of urban complexes and is gaining new developments consistently, including Denio West Homes, Tramonto Townhomes, and Twin Villa Condos. Fox Hill and Spring Valley are two golf communities that allow residents to step from their homes onto the greens of world-class golf course. Longmont is close to Denver, but residents will find all the amenities they need without having to head to the bigger city. Retail complexes, cinemas, leisure facilities, local stores, and restaurants are all in abundance in Longmont. As a city, visitors to Longmont may be surprised to see a place that is so connected with the rugged beauty of Colorado. Parks, greenspaces, and trails are in abundance in Longmont, including the Sandstone Ranch Park and Union Reservoir Park. Golf courses located in Longmont include Fox Hill, Twin Peaks, and Ute Creek, all excellent courses that are renowned in the region. 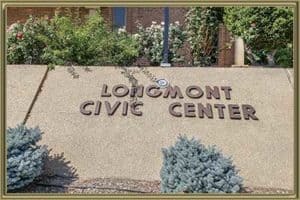 The City of Longmont Museum is a fantastic place to visit to explore this history of the city and the surrounding communities. Longmont, Colorado offers homeowners everything they could want from city living, but also adds the unique connection with Mother Nature. Living in Longmont means access to amenities and to the beauty of the Rocky Mountains, which is why the city is much sought-after. Mike Lies and the team at Gold Compass Real Estate can help you find the home of your dreams in Longmont with our expertise in the local area. See alist of attractions and Things to do in Longmont CO. If you are selling a home in Longmont, Gold Compass Real Estate is here to help. We are a leader in real estate in Longmont and can provide detailed information on market trends and prices in the city. Our services include help in staging and consultation advice. A great way to start is to check out your free Longmont Home Value Instantly Online. Longmont, CO has become one of the most popular locations for homeowners in the North Metro region. Gold Compass provides qualified agents with local expertise to help you buy the property of your dreams. Whether you just want advice or want to move forward with buying a home, we are here to make the process smooth and stress-free. Finding a home in Longmont is as easy as checking out the online listings at Gold Compass Real Estate, which are updated every time there is a change to a property. Start your adventure in Longmont now by contacting Gold Compass Real Estate on 305-325-5690.